A Pink's Namjoo is making headlines for her looks - unfortunately, in a negative light. 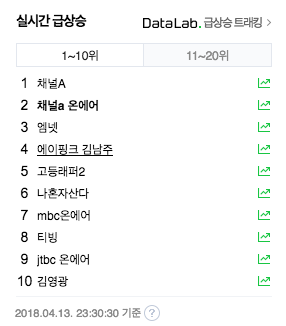 Namjoo ended up ranking #1 on real-time search engines and still remains in the top 5. Netizens in shock commented,�"Hul, why did she...", "Omg she definitely did her eyes and nose", "Her nose is so messed up TT", "She looks so bad TT She looked so much better before", "Omg I couldn't even recognize her", "She's another idol following Park Bom�to rank #1 on real-time charts for cosmetic surgery lol", "She looks like Michael Jackson."